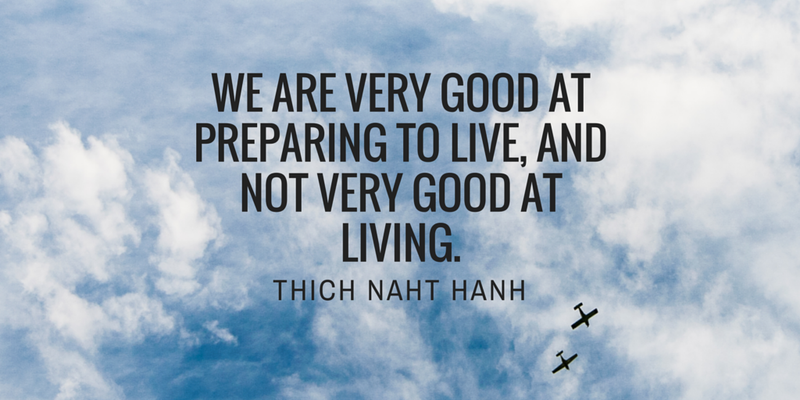 Thich Naht Hanh speaks about using meditation bells to bring ourselves back into mindfulness. Ideally, when you hear these bells you stop, breathe and take a moment to recenter yourself. A moment of meditation right where you stand. This leads to releasing stress and regaining happiness. With meditation bells, you are conscious of the moment. He also mentions that anything can take the place of meditation bells, you just have to specify what will represent it – his examples are church bells near your work or home, the phone ringing, an alarm clock and even red lights while driving. Things you come into contact with often but will not appear on purpose. Most likely some of these examples are present in your life, if not all of them, so you can use them as small reminders to come back to a relaxed mind-space. The intro song to Chris Hardwick’s Nerdist Podcast. Yes. seriously. Meditation doesn’t have to be all serious all the time, you should gain something from it and one of those things is happiness. So, what in your life causes an instant smile? We only have today, what are you going to do with it?